Hi everyone this is Chirag's blog and I'm Chirag. I wanted to wish everyone a happy Friday. Glad that we made it through another week. 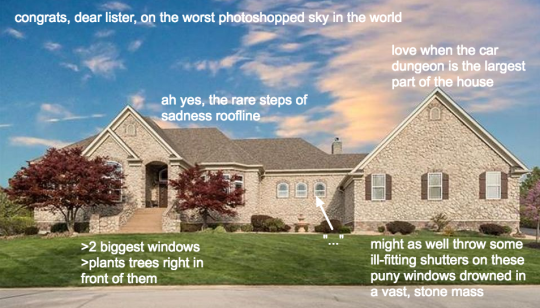 I wanted to show you guys another blog that I like, it's called McMansion Hell. The author shows you to the worst architecture in the US. She has really funny pictures to go along with each post that are reminiscent of the doge meme. Here's a sample.